Just because you sport facial hair doesn’t mean you have to look like a grizzly man. 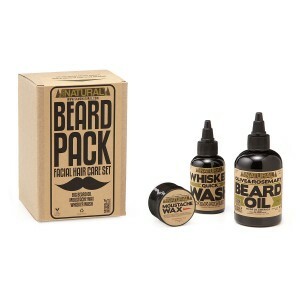 Keep your ‘stache and beard in top-notch form with this all-natural facial hair care set. This line of products, created by a mechanic, is gentle enough for daily use, but don’t worry-we won’t tell anyone. Handmade in the USA. Makes a great stocking stuffer!